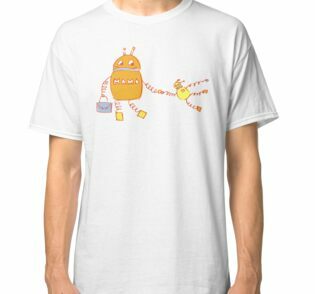 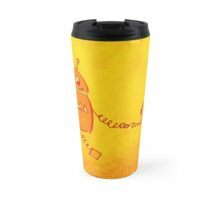 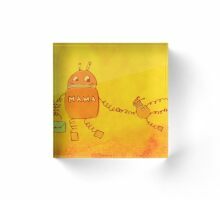 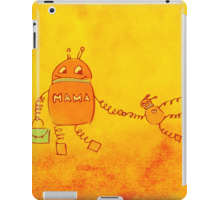 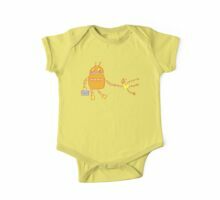 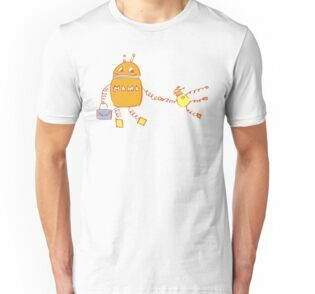 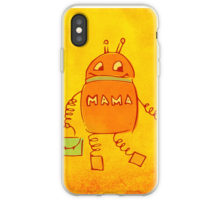 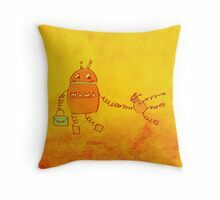 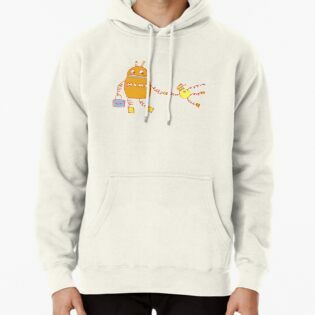 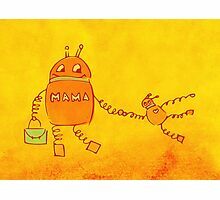 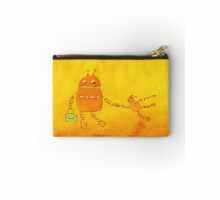 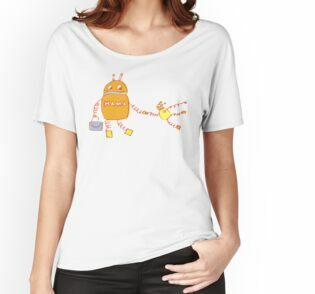 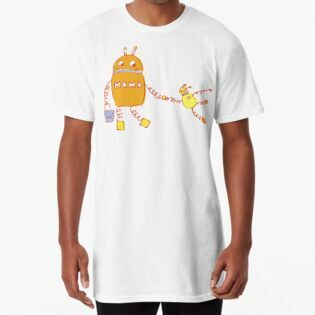 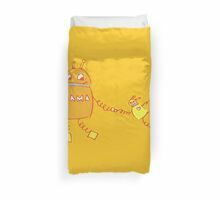 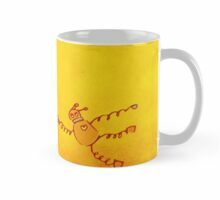 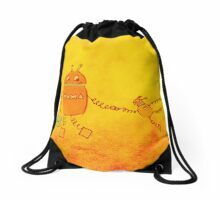 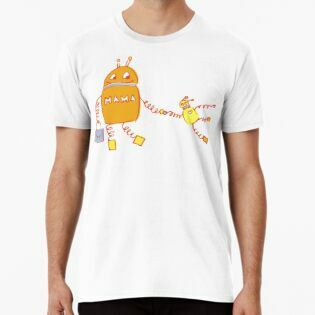 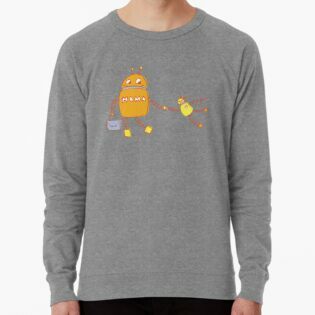 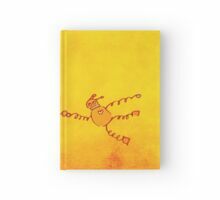 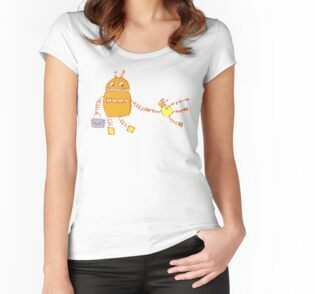 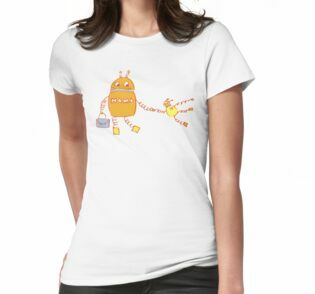 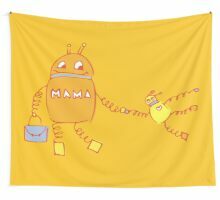 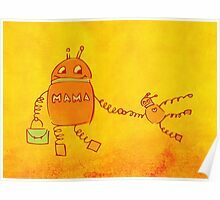 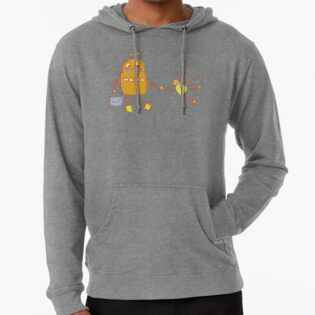 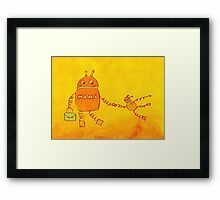 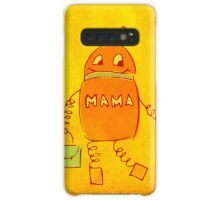 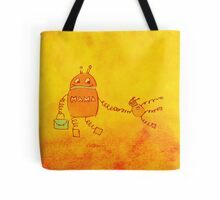 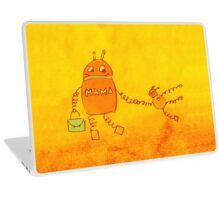 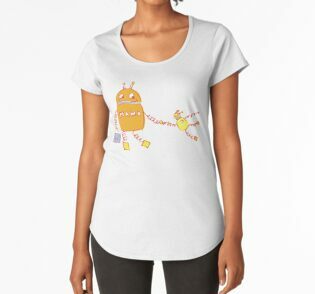 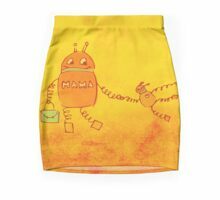 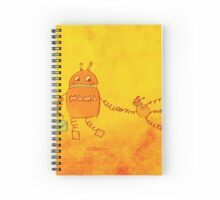 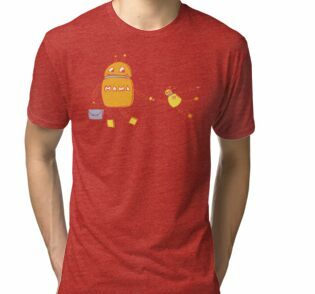 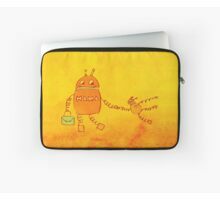 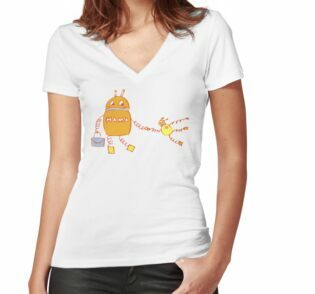 Cute cartoon robots illustration of two robots – a mother and child robot – holding hands and walking, on grunge textured yellowish-orange background. 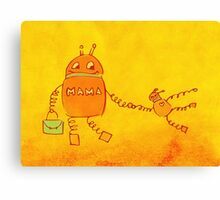 This is sooo cute, Boriana! 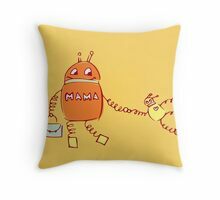 I love the colour scheme you chose for this artwork, very warmth and happy! 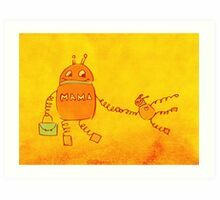 This is adorable Boriana! 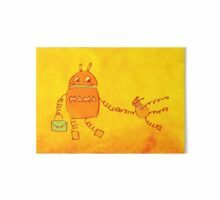 And I love the colors and background texture! 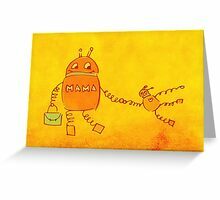 So lovely!!! 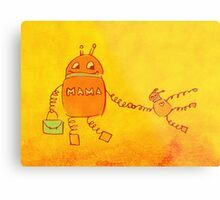 I adore them! 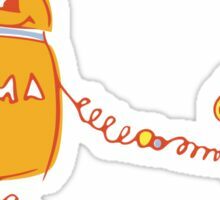 So cute and warm-hearted and funny! 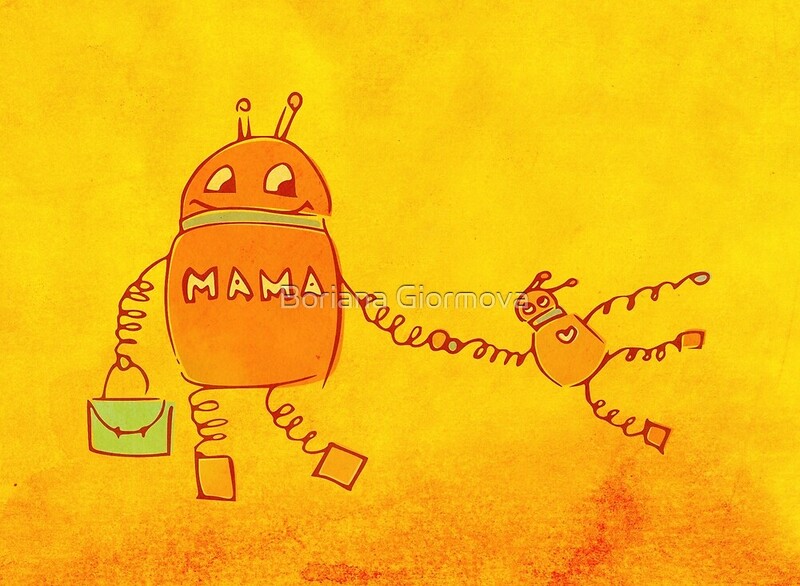 :))) Faved!